Keystone Ski Resort is perfectly suited to families, with a vast array of amenities, programs, and super fun activities for kids. Team this up with terrain that is fantastic for beginners and intermediate skiers and snowboarders, you've found yourself a pretty memorable family ski holiday. 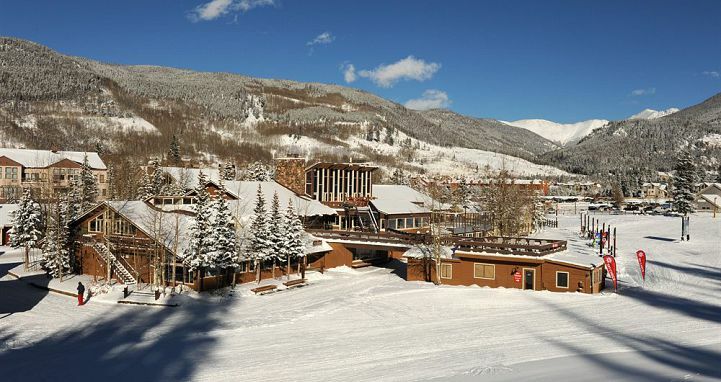 Easy access from Denver, a great range of accommodation options including ski-in/ski-out, and a fun compact resort village, Keystone has it all. The focus on kids. Keystone takes families seriously and has more amenities, programs and fun stuff for kids (particularly younger ones) than any other resort. Plenty of skiing to challenge advanced (but not necessarily expert) riders. The huge range of accommodation. The world's highest tubing hill. 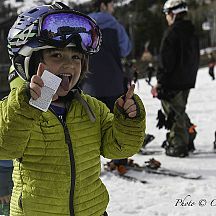 Kids 12 and under Ski Free all season long! The cute and compact River Run village with a historic mining town feel. The accommodation in Keystone is spread out. Choose carefully based on your needs. Check online ahead of time for events – there’s a lot happening so don’t miss out. 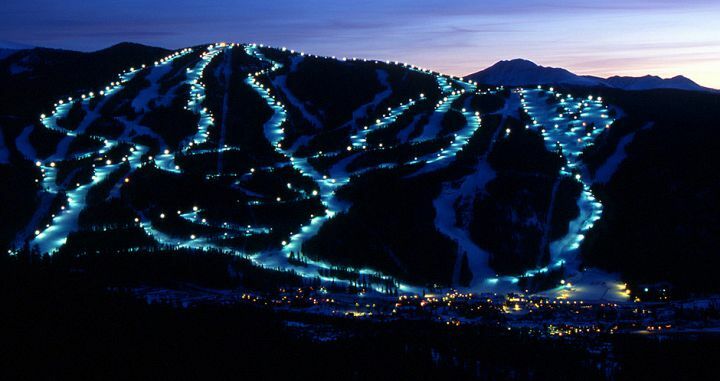 Keystone offers 243 acres (98ha) of night skiing. The ski area is spread over three peaks. It takes a while to get to and from the back (but also means it’s less crowded). For a romantic meal, dine at the Ski Tip Lodge. The village is fairly small and may be quiet on weeknights. Keystone ski resort is not always first on the list of resorts when one is planning a ski vacation in Colorado. But there are so many reasons why it should be, particularly for families. Keystone resort packs so much family fun into one place it’s almost exhausting just thinking about it. The highlight for families is Kidtopia – scheduled events for kids, with several activities happening every day. From scavenger hunts to giant snowball launchers and a parade with fireworks there is almost always something happening. But it doesn’t stop there. There’s a giant fort (apparently the world’s largest) up on the slopes that can be accessed by everyone (including non-skiers) by the River Run Gondola. Built at Adventure Point it’s also where there’s a tubing hill and both are open at night. Then there’s the 24ft (7.3m) slide at Camp Keystone (the ski school center) that kids whiz down to get to the snow from inside. We could go on and on about all the things there are for families, but that would require another website. And the best part is most of it’s free. But let’s not forget the reason people come to Keystone in the first place… to ski! Coincidentally Keystone ski resort happens to be a great place to do that too. 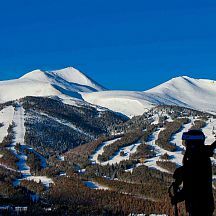 It’s the largest resort in Summit County and has 3148 acres (1274ha) of skiable terrain, and 3128ft (953m) of vertical. With a base elevation of 9280ft it’s pretty high, so perhaps not the best for people who suffer from the effect of altitude. But this means the quality of the snow is well preserved. Speaking of snow, Keystone receives on average 235inches (6m) of snow each year. 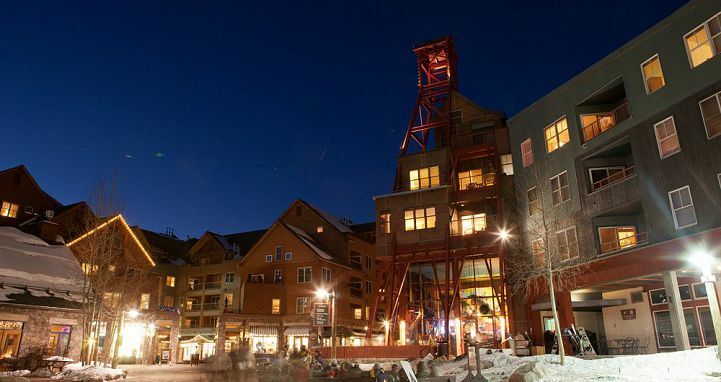 Most of the après action takes place in River Run Village. This is where you’ll find a good variety of restaurants, bars and retail – certainly enough to give it a somewhat happening vibe. The secondary base area is at Mountain House, but really River Run is where most of the action is. Initial impressions of Keystone are that it‘s paradise for beginners and intermediates. While that’s true, it’s once you head further back to the second and third mountains, North Peak and The Outback, that you realize there’s also some pretty great terrain for the more advanced. It may take a little longer to get out there but you’ll be rewarded with long steep groomers, some lovely gladed runs (Scout loved the Black Forest area off Outback Express) and if you’re willing to take a bit of a hike, or are prepared to fork out $10 for a lift on a cat, you can access some great bowl skiing. Keystone’s slogan is, “A mountain of possibilities” and that’s certainly true when it comes to variety of terrain. That said, there’s no serious expert terrain so you may not get the adrenaline pumping if you’re an expert skier. 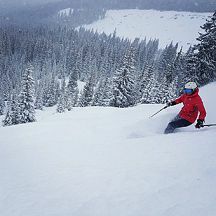 Beginners and intermediates will spend most of their time on the front mountain (Decrum Mountain) that has a wide variety of blue and green groomed runs. The two key learning areas are at the top of the River Run gondola and at Camp Keystone at the Mountain House base. In total there are 131 trails and 20 lifts spread over the three mountains. Of those runs 14 per cent are marked for beginners, 29 per cent for intermediate and 57 per cent for advanced. In our opinion, some of the advanced would be more appropriately marked as blue/blacks so take that 57 per cent as a bit of a stretch. Keystone has some impressive terrain park facilities, almost enough to rival near neighbor Breckenridge. The A51 Terrain Park is on the front side of the mountain and is serviced by two lifts, one of which is just for the park. It has more than 100 features for all standards, including some advanced 60ft jumps. The lower part of the terrain park is lit at night when there’s night skiing (till 8pm on holidays, and all of March and generally on Wednesdays through Sundays for the rest of the season). Keystone is part of the EPIC pass, allowing you to explore more of the resorts in both North America and Canada! By now you should have the picture that Keystone is perfect for families. It’s understandable that families (particularly those with younger children) come back year after year. Although it’s seriously clichéd to say this, we believe it would be where wonderful memories are made thanks to the endless activities that are guaranteed to put a smile on the face of any child. As well as all of the events that are part of Kidtopia (mentioned above) there are many other great benefits that make it so family friendly. Keystone has an excellent selection of family-friendly accommodation and when booked via Scout as part of a Keystone Package Deal, kids under 12 ski FREE! That’s right … free! With no blackout dates and no other restrictions. Keystone has a great ski school program that runs out of Mountain House or River Run (depending on the age and needs) with a variety of group lessons for kids. The Keystone's Ski and Ride School is located in River Run Village operates the resort’s childcare & Ski School facilities. It’s open from 8.30am–4pm and takes children as young as 2 months old. Reservations are required in advance. More information for families is in our Keystone Scout Field Guide free with any booking on Scout. From simple condos for those on a budget to full service hotel rooms to neat townhomes and spacious, luxurious holiday homes there is accommodation in Keystone to suit every taste and budget. There are a variety of different accommodation areas that are spread along the valley. Some of those are much closer and within walking distance of the slopes, while others are further away requiring a 5-20-minute free shuttle ride or drive. If convenience is something you’re after, choose your location carefully. A lot of the condos and hotels at Keystone were built in the ’80s and ’90s so some can feel quite dated. As well as many of the kid-focused activities that are part of the Kidtopia program, there are other non-skiing activities. Among others they include tubing, snow-biking, ice-skating on a huge natural pond, sleigh rides, dog sled tours, cross-country skiing, indoor tennis, EpicMix racing and snowmobile tours. 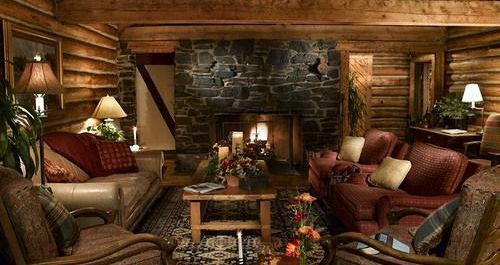 Keystone Lodge and Spa has a 10,000 square foot (930sq m) fitness center and full-service spa. Denver is a major international airport near Keystone servicing 21 domestic and international airlines. It’s close to a two-hour drive with no traffic, so allow plenty more time during winter, particularly on weekends. It’s half an hour less to Eagle County Airport near Vail, however Denver has a wider selection of flights at better value. There are plenty of shuttle services (shared and private) from both airports. These can be arranged as part of a Keystone Ski Package when booked via Scout. 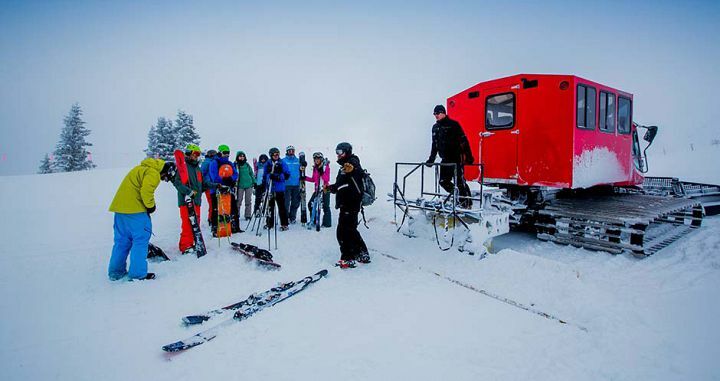 It’s not necessary to have a car in Keystone as there is a free shuttle service. There are six different routes with three departures each hour, the last being just before 10pm. Between River Run and Mountain House (where Camp Keystone is) there’s a shuttle every 10-15 minutes. In addition to the timetabled shuttle a personalized/on-call service is available before, during and after scheduled routes (until midnight). Keystone opens for skiing at the end of October/first week of November (depending on conditions) and the season runs until the first or second week of April. 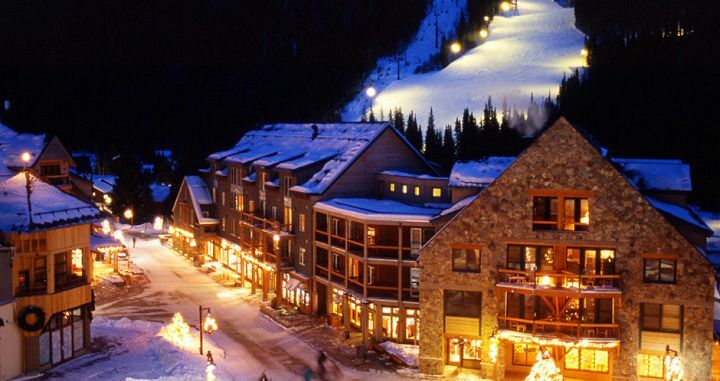 Scout's top resorts where Kids Ski Free!